The hilarious game of life’s unwritten rules. 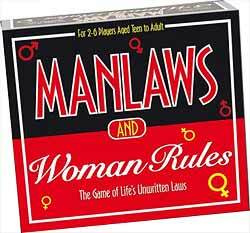 There are certain bylaws that men follow in life. These laws have never been written down, but are still binding. They are called Man Laws. Similarly, there are a set of unwritten, but binding rules which women follow. These are called Woman Rules. This is the hilarious game of these unwritten rules!